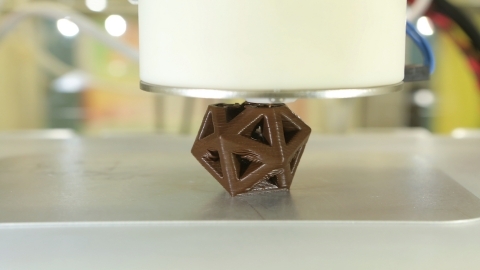 Visitors can also be scanned to see what they would look like as a piece of 3D-printed chocolate. One of Hershey’s goals is to gather knowledge and insights directly from consumers after they’ve seen the exhibit. Through a survey, consumers will have the opportunity to share their preferences on customization options and product design. This information will influence the final technology and business model for a commercial 3D chocolate candy printing experience.